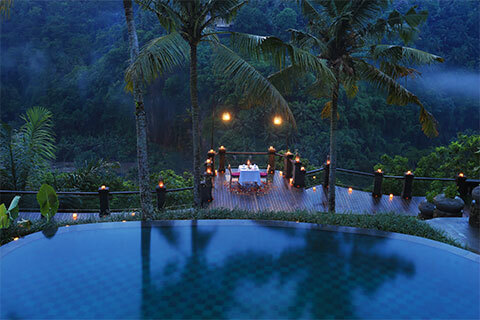 The Pramana Spa at the Pramana Watu Kurung is designed to give a personalized in Resort service. 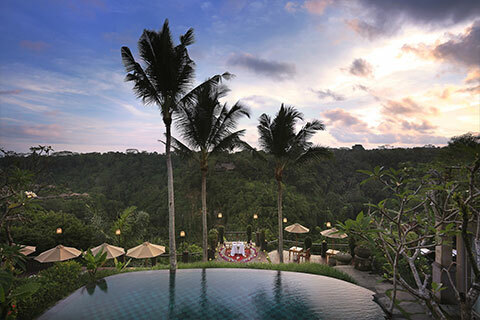 The Pramana Spa is set incorporate with the lobby lounge on the second floor with one treatment with rice field view, featuring twin massage beds, shower and bath.Embracing the sight and sounds while enjoying signature treatments using local herbs ingredients from a relaxation massage to intensive detox program. Surya Puja is designed for yoga and wellness for those looking to enjoy themselves while also taking care of their bodies, minds & souls. Traditionally Surya Puja is dedicated to God of Sun, performed at sunrise which is considered the most profitable spiritual time and facing the rising sun, a holistic experience that transcends into all aspects of your life. 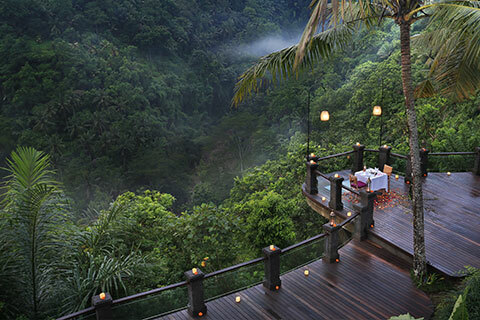 Stunning rooftop open-aired yoga pavilion that looks out at natural forestry scenery and terrace rice fields. 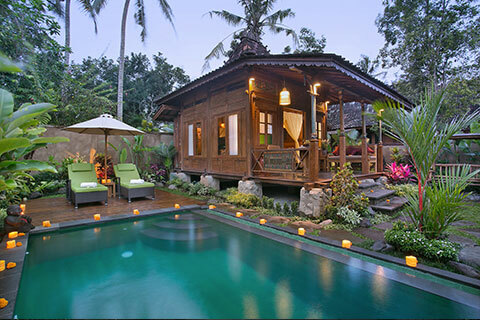 Designed and built to incorporate with yoga characteristics using a mix of bamboo formed structures, wooden floor and resembling 'alang - alang' thatched roofs, at the rooftop adjacent to the Spa pavillion. Everything is set up for you to relax, tone your body and connect with like-minded people around you. 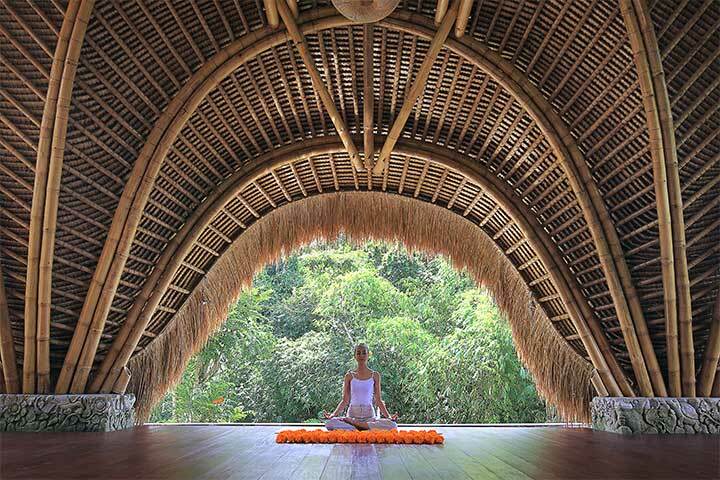 Surya Puja is the perfect place to dive deep into your yoga practice. Authentic traditional Massage its combined with Balinese technique, stretching, long stroke skin rolling, palm, thumbs pressure techniques to balance the energy centers and improve the integration of your internal systems, blood circulation and release stress. 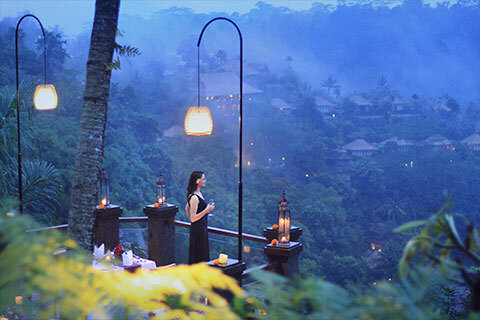 Indulge in the ultimate massage experience commencing with a luxurious, begin with mineral and traditional Balinese foot bath, followed Pramana massage with the unique dancing finger movement, assist with eliminating reflexology relaxing. 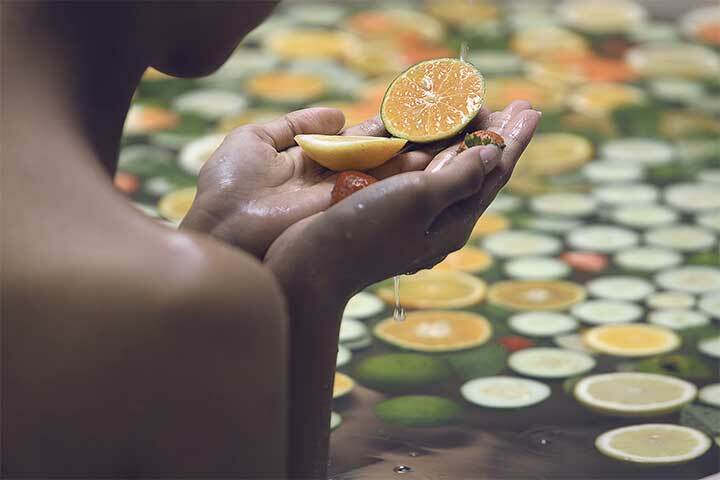 (Foot wash using traditional Balinese foot bath, body massage with foot reflex). 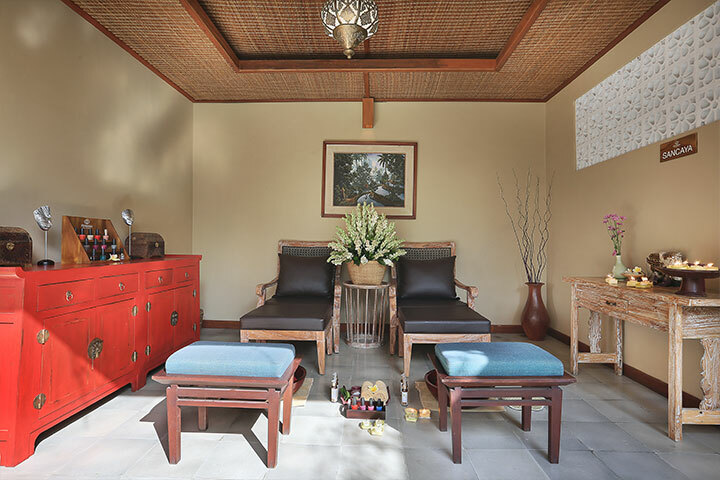 A relaxing massage involving a variety of techniques, essential oil are applied in long sweeping strokes which warm up the skin and muscles, the essential experience is completed with a oil burner that enhance the benefits of those oils extracted from herbs and plants. (Foot wash , body massage with warm oil). A nature therapy warm stone are using typically river rock stone, heated in sanitizing water to give beneficial muscle relaxing, improved circulation and pain relief. (Foot wash, and stone massage). An ancient Chinese healing art focused on the pressure point in the feet that correspond with organs and muscles of body, Including a hand reflexology for improves circulation and general wellness. (Foot wash, foot massage and hand massage). Luxurious conditioning cares for your hands. More youthful hands through nail filling, cuticle trimming and minimizing, with exploitation to the hands massage. Allowing the hands to appear softer and smoother. Nail polish or buffing included. Treat yourself to this unique experience and indulge your body and soul with a therapeutic sport massage for begin relieve the muscles tension with a deep tissue techniques, followed by a signature facial for complete you indulge experience will leave you feeling totally clean and refreshed. 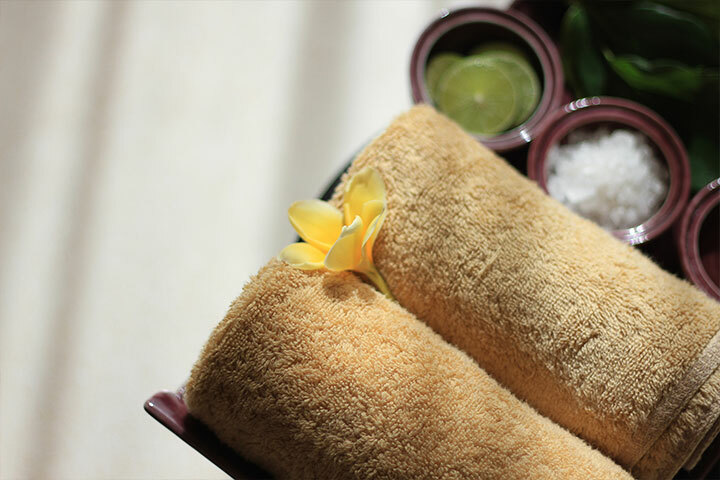 (Foot wash, sport massage, and signature facial). 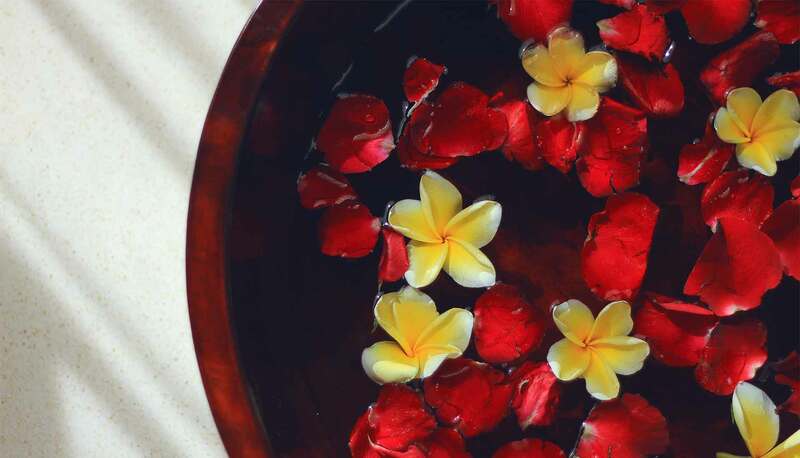 This treatment is the perfect way to end a perfect day, begin with a aromatherapy massage for first applied in long sweeping strokes which warm up the skin, continue to Javanese scrub and mask for make skin are glow, to complete the treatment with signature facial, finishing with a flower bath and essential oil, to leave totally full body and face treatment. 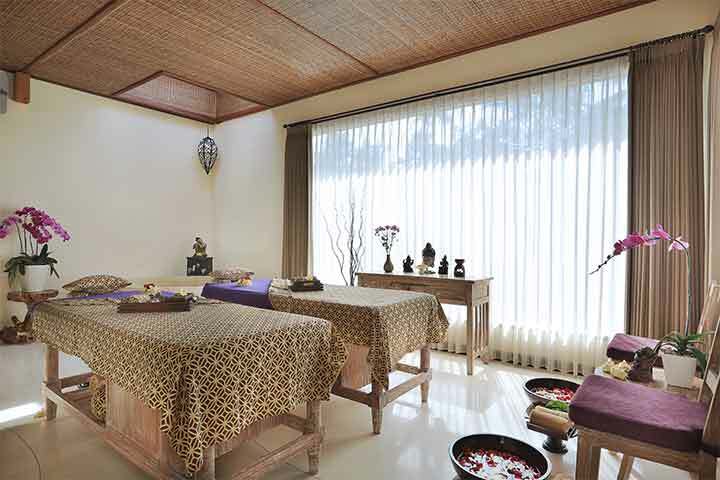 ( foot wash, body massage, body scrub and mask, facial, flower bath). A pramana herbal massage a deep relaxation with hot compresses and classic techniques, while relieving stress and improving health, ingredient with herb and spice, following with a traditional boreh scrub and mask ,a traditional flower bath with lotus flower will make a great your day, to complete the indulgent we serve the turmeric mix with honey and lime (foot wash , herbal massage, boreh scrub, boreh mask, flower bath with lotus, and herbal drink with kunyit, madu and lime).